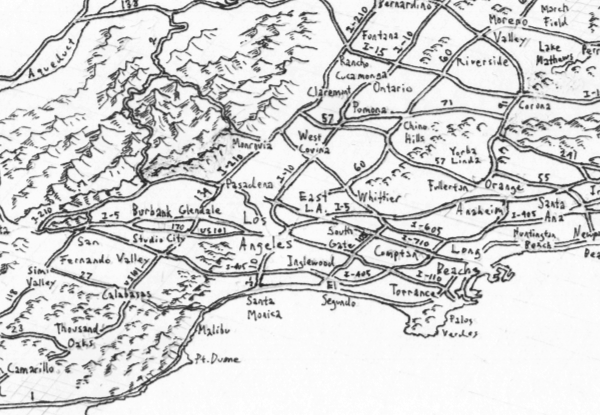 Last October I drew a map of California by hand. I’ve been keeping images and a brief summary of this work over on my other site; have a look here. 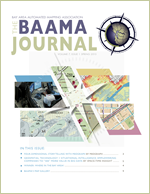 This post draws attention to the most recent issue of the BAAMA Journal, which includes an excerpt of the map in its Map Gallery section. To download a pdf of this issue, select either low res (8MB) or high res (23MB). 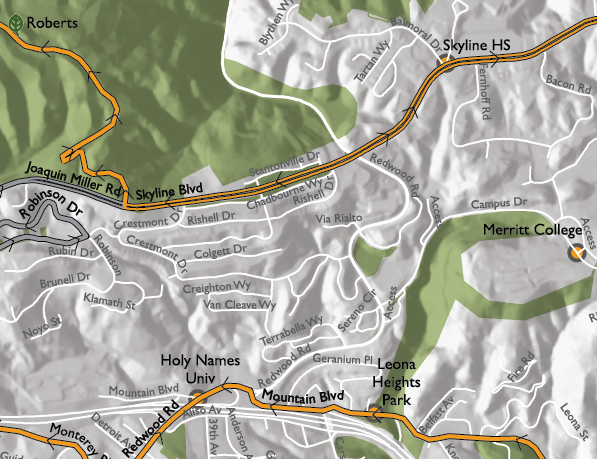 My thanks to the Bay Area Automated Mapping Association! 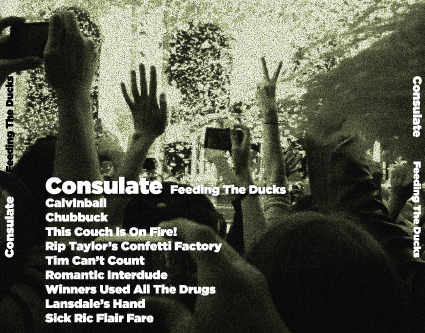 Below are a couple of album covers I had the privilege of designing. 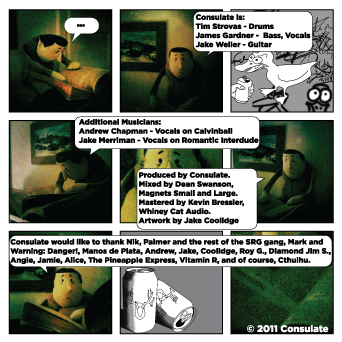 I should have posted about this next one a long time ago–they released the album in early 2011! It wasn’t until I was wrapping up my design for Mission Statement that I realized I had neglected to do so. These are friends of mine from Seattle–I played in a band with the drummer and the guitarist from 2002 to 2004. 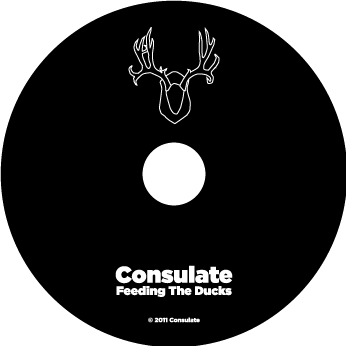 This more recent project, Consulate, disbanded when the bass player/vocalist moved to Indiana, which is too bad because they were really quite excellent. 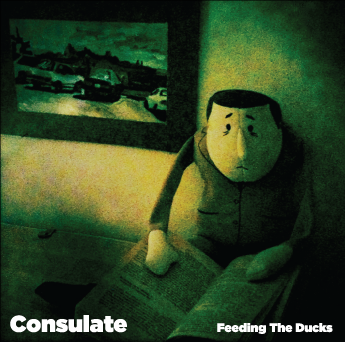 Below is the artwork for Feeding the Ducks, a compact disc release. You can listen to the album and learn more about the project here. Of course, you can see the artwork I’ve developed for my own sonic experiments on this page and on my bandcamp. 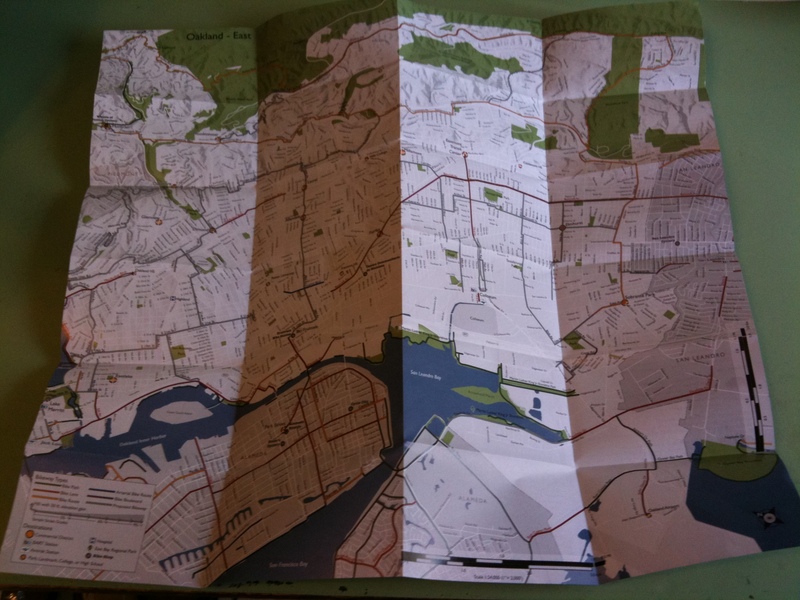 My friend Nico wrote a post about a map I made (many thanks Nico! ), which led to a small flurry of internet activity. 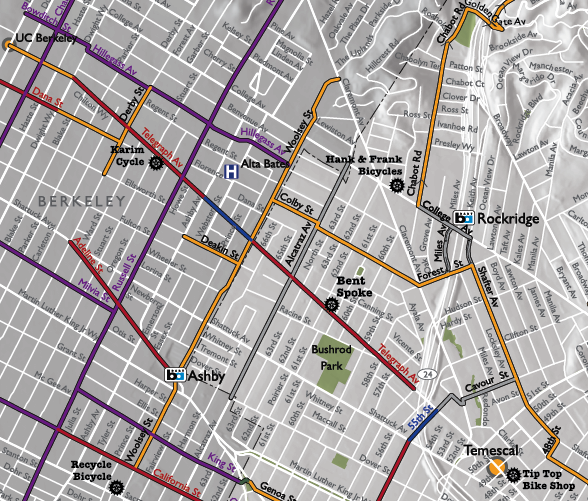 There’s something about transit diagrams that can really tap into people’s imaginations. 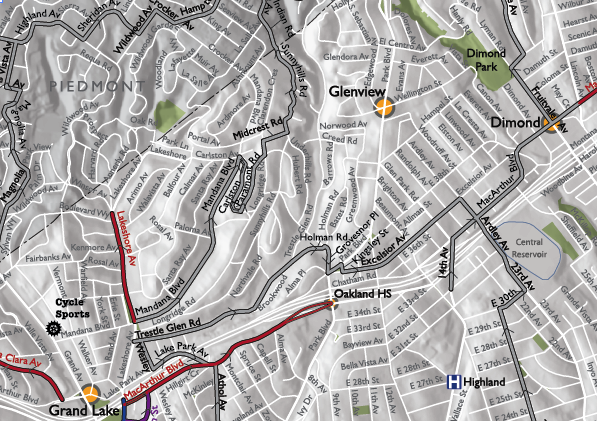 And in true Web 2.0 form, a map can provoke a range of opinions and emotional responses. 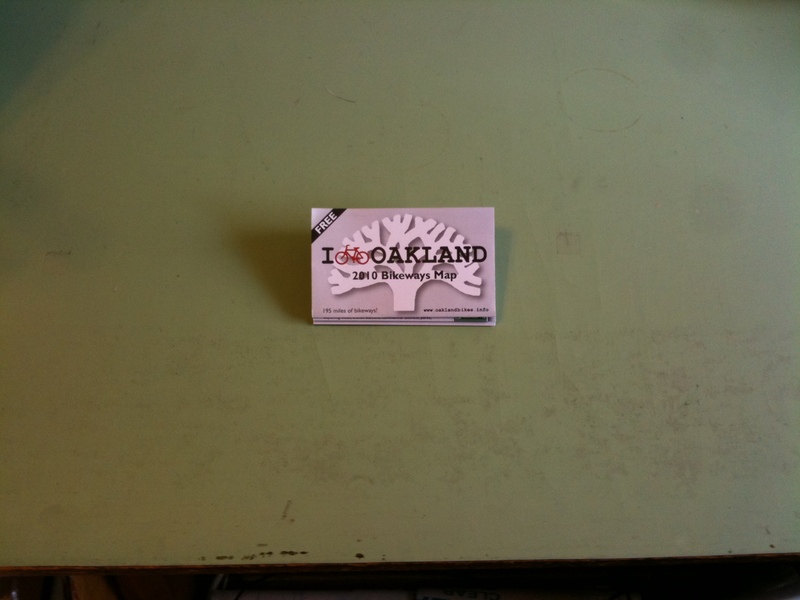 Have a look at Laughing Squid, Muni Diaries, Mission Mission, and SFBay.ca. I host this map on my site and it looks a lot better there. (Someday, I’ll consolidate these sites, but not today.) I originally posted this update/shout-out on the Spatial History Project blog. Below are slides I presented at the NACIS Annual Meeting in Madison, WI on October 14, 2011, and a write-up to accompany it. This talk discusses themes from my Master’s thesis, completed and published earlier this year. Electronic access to this thesis can be found here via the San José Library Catalog. 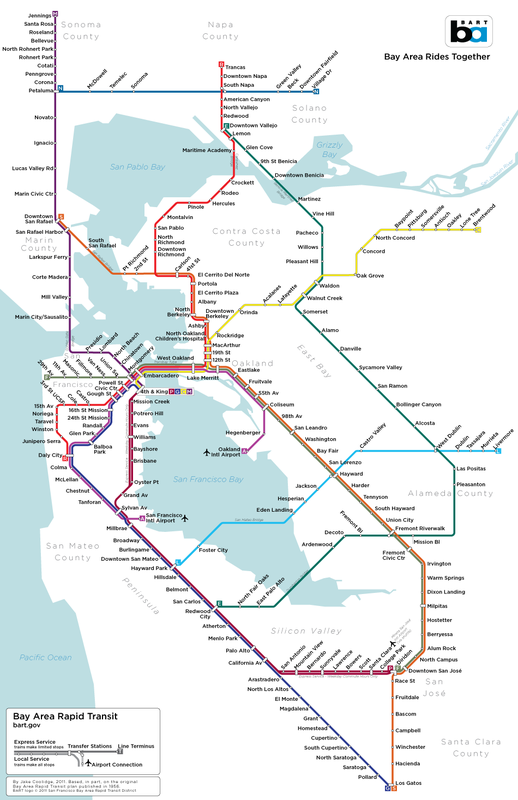 The research project I’m going to discuss today began with my discovery of the original plan for the Bay Area Rapid Transit system (commonly referred to by its acronym, BART). Published in 1956, 16 years before the system first went into operation, the plan seemed to me, at the time, to capture a sense of unbridled optimism. The massive region-wide system of modern trains, depicted in well-designed maps and with stylish illustrations, embodied a confidence in technology to shape the rapidly changing post-war city. Poring over its pages, I felt a connection to a moment in the history of the Bay Area, and a moment in the history of urban transportation in the US. Additionally as a frequent patron of today’s BART system, I’ve had ample opportunity to contrast the daring, massive plan and the considerably less massive BART system that managed to be built. Even in its only partially-realized form, BART seems a complete anomaly: high-tech public transportation on the west coast of the United States, a land where the private automobile is by far the preferred transportation mode. Perhaps even more remarkably, BART is one of a handful of unlikely rapid transit systems built in the United States and Canada in the middle of the twentieth century, a time when transit continued to lose patrons to private automobiles and public support for new transit projects withered. The title of my thesis and today’s talk refers to Daniel Burnham’s famous quote, which I’ve included here. Burnham is famous for his epic Plan of Chicago, from 1909. It seems Burnham realized that the grander the vision, the more dramatic its proposed changes to the urban environment, the more a cautious public needed to be assured of its merits. Addressing the BART Board of Directors in 1961, BART’s first Board President, Adrien Falk, appears to follow closely in Burnham’s footsteps. I’m not sure if he was conscious of this or not, but the similarity in sentiment is striking. I present these two statements together because plans, the visions of the city’s future both pragmatic and fantastic, matter. Rapid transit advocates at midcentury, in particular, needed to speak with firm conviction for their proposals, and rapid transit plans provided an ideal medium to express big, sweeping visions for the future, and rally support from a wary public. 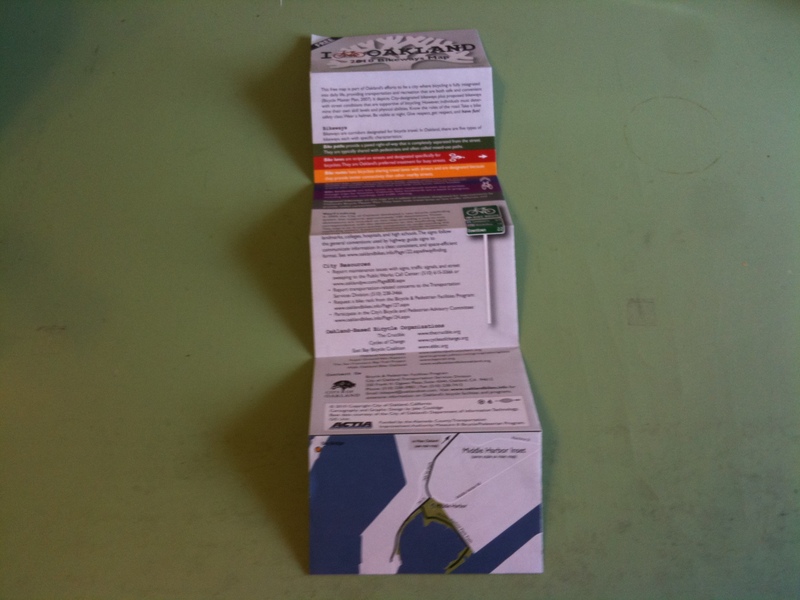 They developed documents, comprised of text, images, and maps in support of an idea. They chose to include some images, and not others. Their maps express variables in support of their arguments and suppress elements that do not. The process of inclusion and exclusion is essential to any act of design and assures that the resulting works are never neutral documents; these plans express the desires and aspirations of their authors and patrons, their visions for the city. BART occupies a central role in my research due to the significance assigned to it by contemporary observers. The development of BART has been characterized as a pivotal moment in the history of rapid transit planning, and one of the most publicized in recent decades. I follow the American Public Transportation Association’s definition of rapid transit, which distinguishes it from other rail-based transit modes, like streetcars and light rail, and commuter rail systems often pulled by diesel locomotives. The main features of rapid transit (also known as metropolitan railways, or metros, subways, and elevated trains) are exclusive rights-of-way, multi-car trains, and power supplied by electric current, allowing for operation in tunnels and high acceleration. When BART began carrying passengers in 1972, it was the first rapid transit project of its scale and scope to be built from the ground up in the United States since the venerable systems of Boston, Chicago, Philadelphia, and New York half a century earlier. 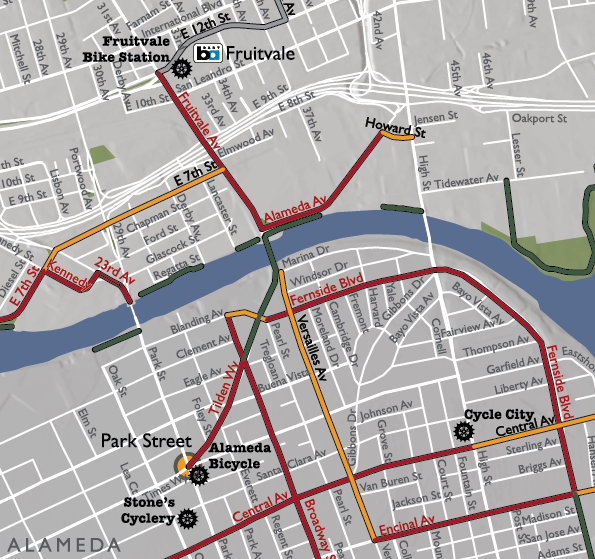 However my research does not focus solely on the BART system’s design. I had a sense that the BART plan was a potentially extraordinary document, at least partially responsible for the unlikely renewal in rapid transit development that emerged in a small number of cities in the US and Canada in the post-war era. 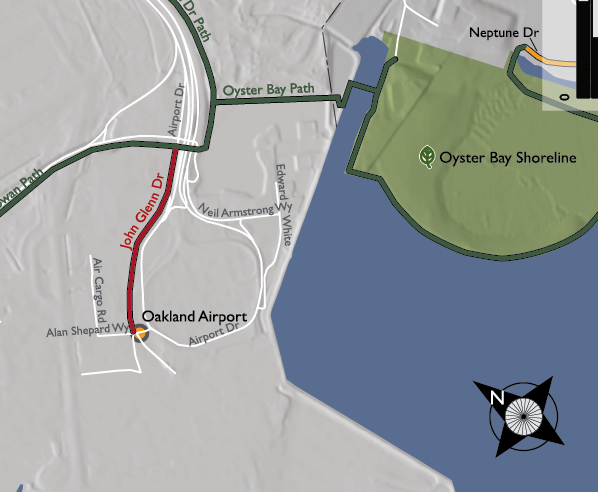 To calibrate this perception to reality, and better understand how this renewal in rapid transit development came to be, I needed to place the BART plan in a broader context. 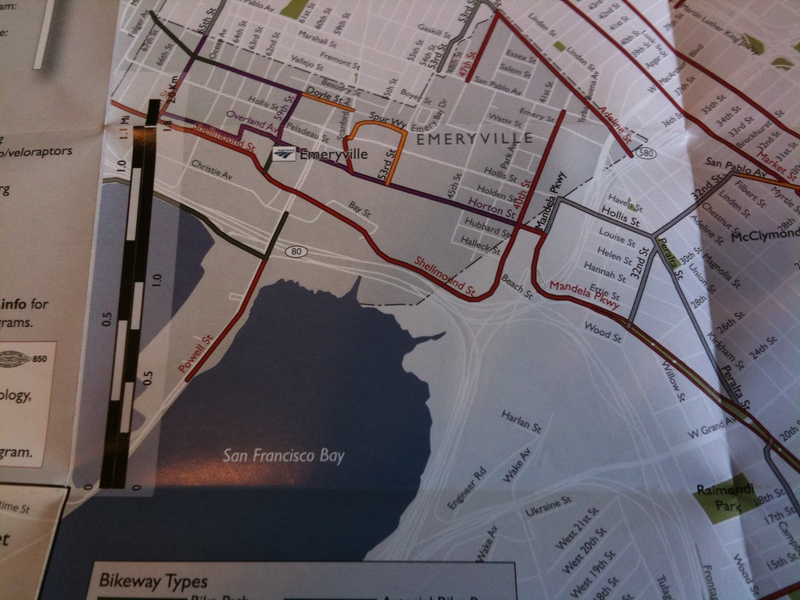 I sought out similar plans produced before and after the BART plan for several cities in the US and Canada. While the BART project was ambitious, it was not the only one in its era, and its planners did not work in a vacuum. With the next two slides, I greatly condense nearly a century into simple timelines to situate these plans in relation to each other, and provide an overview of the broader historical events and trends in transportation. Developments in transportation technology, primarily the popular adoption of the private automobile, and the financial strains incurred during the First World War, the Depression, and World War Two, effectively hobbled public transportation generally, and made the development of new, expensive subway systems a tough political sell. In its earliest days, however, rapid transit was a potentially lucrative business opportunity, providing a faster alternative to street-level transit. The development of New York’s elevated trains and subsequently the Interborough Rapid Transit subway, completed in 1904, were strictly business ventures. The introduction of the mass-produced automobile, of course, changed everything. For the first time in its existence, rapid transit technology had a true competitor. As the 20th century progressed, transit shifted hands from privately-owned, for-profit operations to public franchises, operated like public utilities, and increasingly unable to recoup revenues at the fare box. World War One led to inflation and a scarcity of materials and labor, causing the costs of rapid transit projects to skyrocket. Cincinnati’s rapid transit project went bankrupt during this time and was eventually buried under an expressway. The Depression deprived transit operators of downtown commuters as unemployment reached unprecedented levels. World War Two reinvigorated industrial production and employment while limiting the use of automobiles. Transit ridership spiked for the last time during these years, but aging transit systems essentially buckled under the strain. Meanwhile increasing numbers of motorists on urban roadways created worsening traffic in cities across the US. Once wartime restrictions on car production and petroleum consumption were lifted, the numbers of cars on the road soon outpaced highway construction. 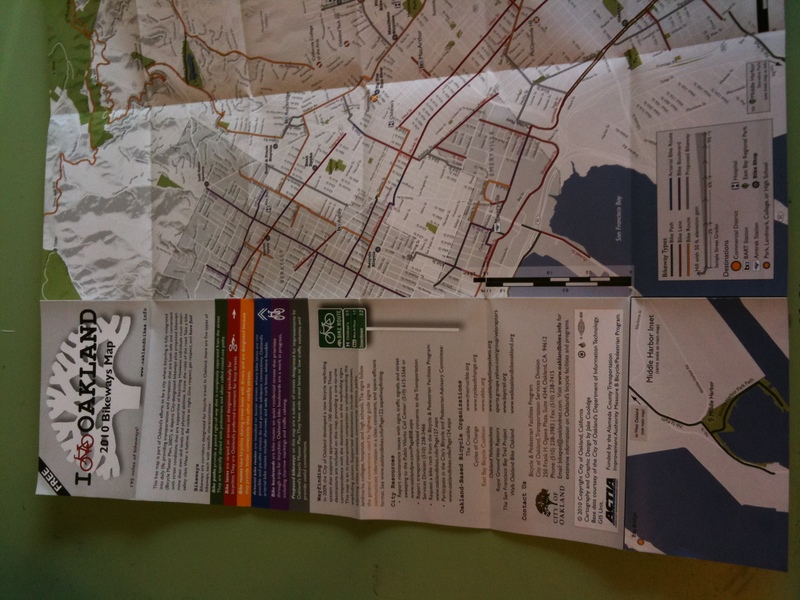 These are the circumstances that the planners of BART and other projects in the US and Canada faced. Just as automakers returned to peacetime production and construction commenced on the Interstate Freeway System, these plans promised to save the public transit option, and reverse the overall decline in patronage from its peak in 1925. This formidable task would require persuasive plan-making. This work seeks to shed light on how rapid transit proponents appealed to their audiences with their proposals. 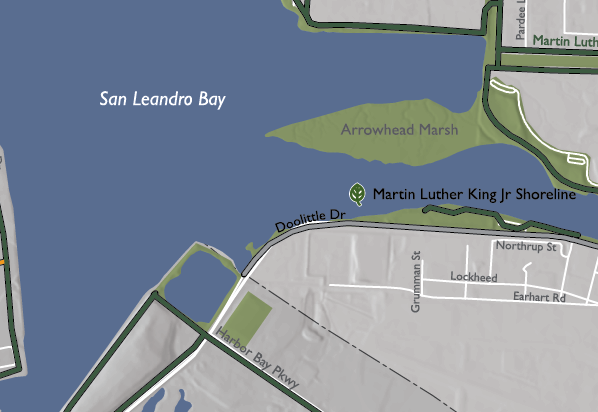 In addition to the BART plan of 1956, I’ve selected five plans predating the BART plan, and four published subsequently. This shows how they are aligned on the timeline. And this lists the ten plans. 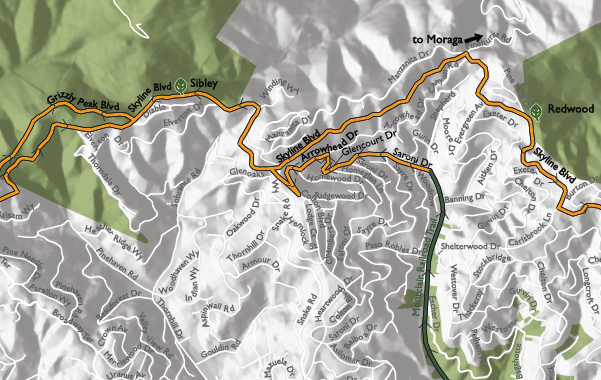 These plans provide a lens through which to explore this period of rapid transit development. These plans were intended to be read as impassive documents produced by engineers–straight presentations of technological facts. Looking closely at how these plans are constructed–their packaging, choice of imagery, arguments, and the sequencing of the content–suggests there’s more to the story. In my thesis, I review each plan in detail, drawing out larger themes that spanned all plans collectively, while also pointing to subtle differences tailored to suit the needs and interests of each patron city. Today I’ll focus on those larger themes and provide visual examples of each. The excitement surrounding the early days of BART’s development are understandable, especially when encountering its epic original plan. The document’s dimensions span 22 inches wide by 17 inches tall. The utmost care was taken in its composition and design. However several of the other plans reviewed also went to great lengths to present an appealing vision for rapid transit, and lend credibility to the idea with numerous maps, charts, photographs, and illustrations. These works, in concert with the BART plan, helped make a broader renewal in rapid transit, such as it was, a reality. As this technology gradually reclaimed a precarious foothold in US cities, the plans produced to articulate them grew in size and in graphic complexity and sophistication. 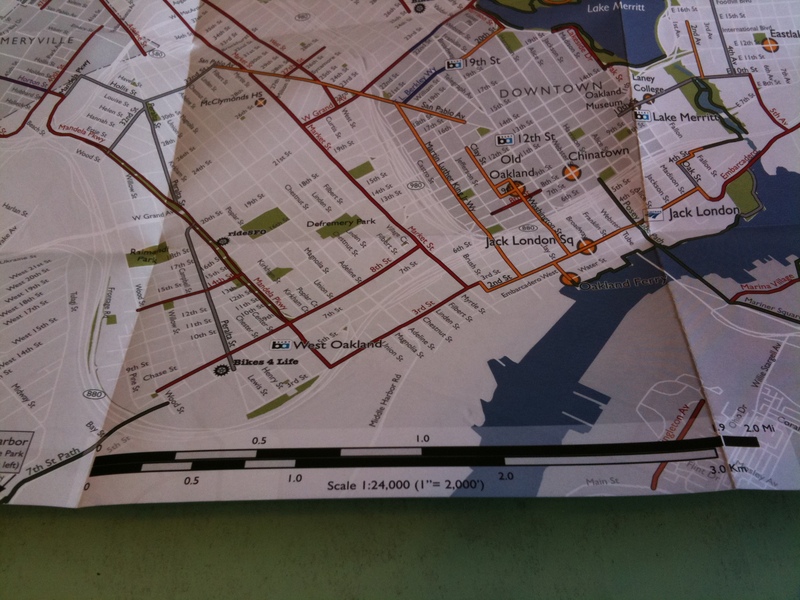 Early plans rely heavily on maps to reinforce ideas expressed in the text. Tasked with representing the virtues of the proposed systems, the resulting maps are visually dense and detailed, and in cases where larger formats are used, they envelope the viewer’s gaze and provide commanding viewpoints. 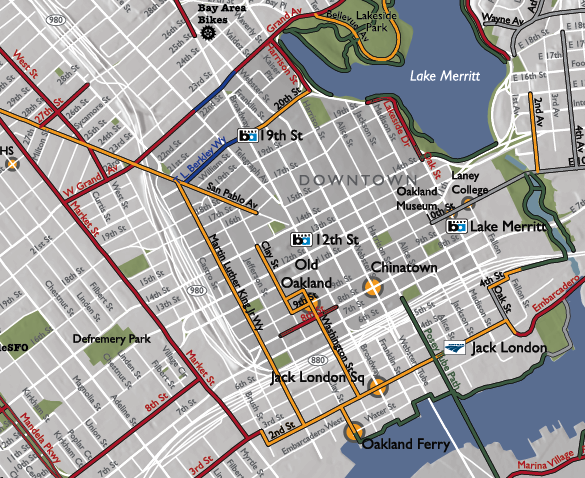 Amongst the plans reviewed, the BART plan perhaps carries this cartographical orientation to its most fully realized extent, providing numerous large maps packed with an array of data culled from governments and institutions lining the Bay Area. The last two plans in the study break with their predecessors by providing a large number of striking architectural sketches and visualizations that conceptualize the near future with rapid transit woven into the urban fabric. One theme remains constant across all the reviewed plans. Their authors maintain that increasing rush-hour automobile traffic posed the greatest threat to the proper functioning of an urban region. Coupled with this is the common assessment that existing surface transit systems were unable to ameliorate traffic problems on their own. All plans present rail rapid transit as a cost-effective solution to these problems. Several plans select photographs of grinding traffic congestion to emphasize this idea. Earlier plans focus on moving commuters comfortably and efficiently to downtown employment districts. 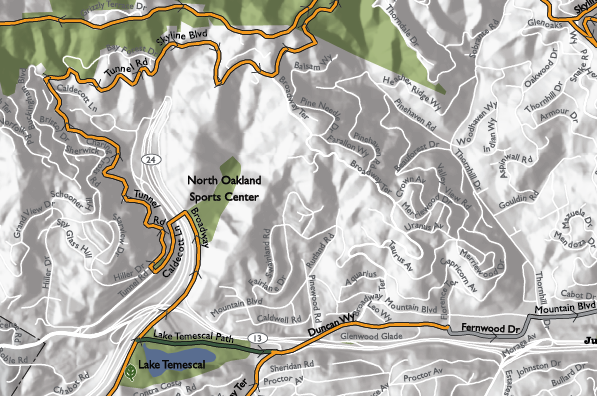 Occasionally some mention of anticipated economic benefits to the area might be made. For the most part, the authors find it sufficient to market rapid transit as cost-effective transportation. 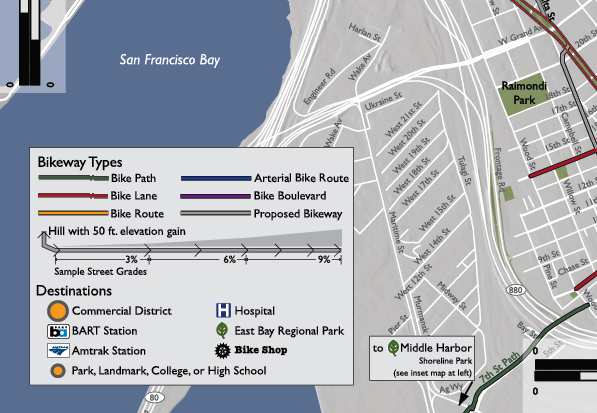 The BART plan specifically articulates a connection between land use and transportation, providing the first regional land-use plan ever developed for the entire Bay Area region. The land-use plan both strengthens and is strengthened by the rapid transit system. 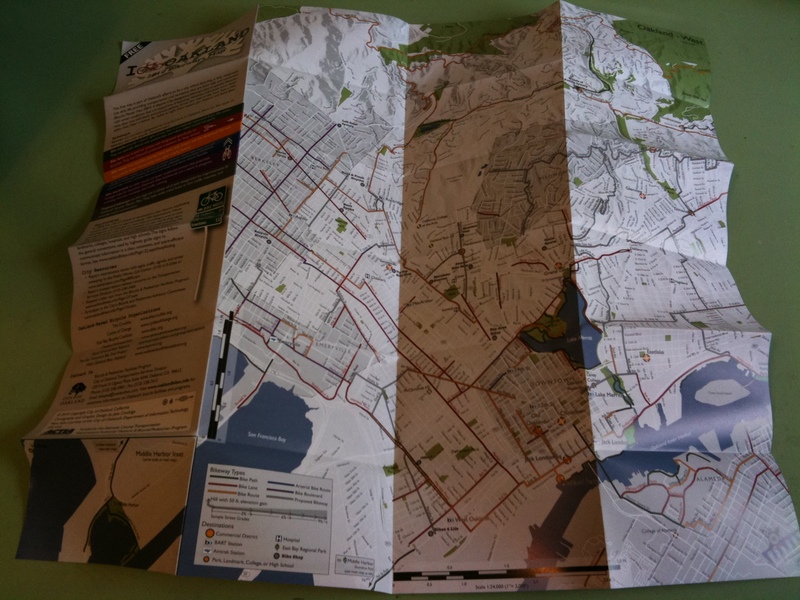 The plans produced after the BART plan follow suit in enumerating the ways that rapid transit could positively shape the urban environment, though in each case, the message is tailored to the specific city. In Washington, DC, rapid transit could ease congestion and provide an orderly pattern of urban development necessary to maintain the prestige of a world capital. Atlanta’s rapid transit proponents sought support for their system by extolling numerous benefits to economic growth. 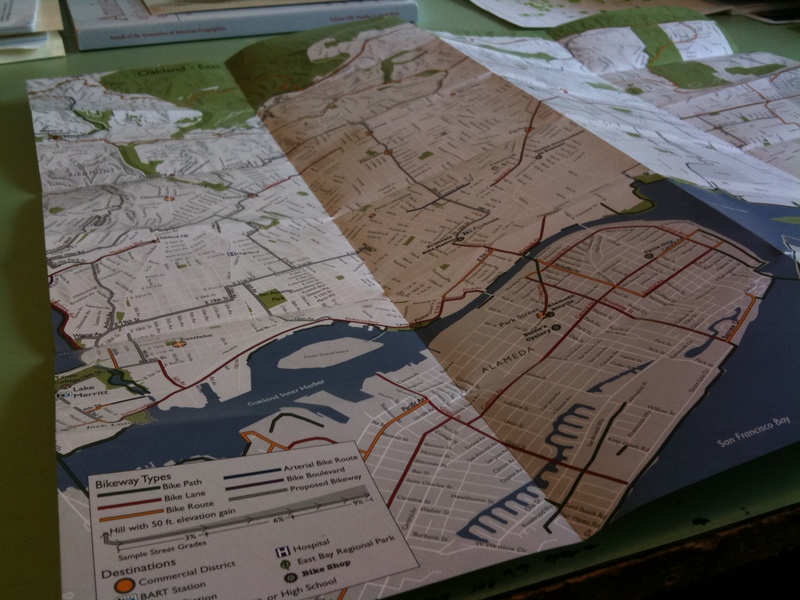 In Baltimore, rapid transit was presented as a powerful tool for urban renewal, and a cure for the hardships endured by an aging mid-Atlantic port. Finally, the Los Angeles plan of 1968 perhaps points to the limits of using rapid transit as a tool to shape the future development of the city. A nostalgia for Los Angeles’s earlier streetcar era introduces the plan, and the allure of sleek trains carrying passengers into the future concludes it. Look more broadly at rapid transit planning, from 1860s London to the present. What plan-making conventions remained a constant, while others changed with the times? Look at transit planning generally, across modes. Do different design tactics indicate different priorities, and is this driven by the chosen transportation technology? In 2010, there were 7 new posts, growing the total archive of this blog to 13 posts. There were 78 pictures uploaded, taking up a total of 1gb. That’s about 2 pictures per week. The busiest day of the year was May 12th with 93 views. 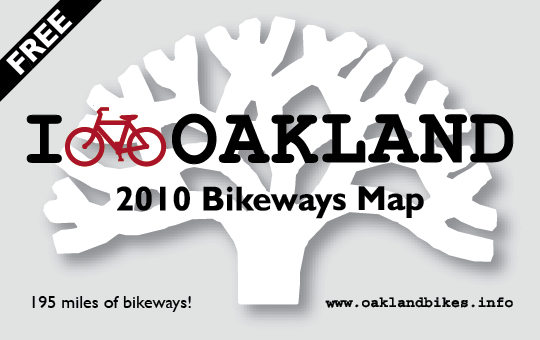 The most popular post that day was I [bike] Oakland 2010 Bikeways Map. The top referring sites in 2010 were youcanbikethere.com, mail.yahoo.com, google.com, linkedin.com, and mail.live.com. Some visitors came searching, mostly for cartography, anish kapoor sketches, jake coolidge, arthur h robinson, and cartography art. 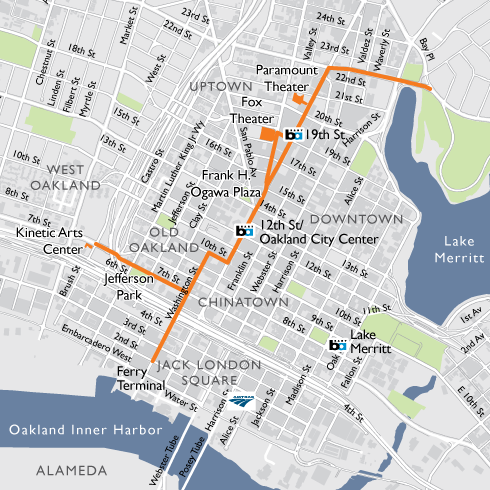 Walk Oakland Bike Oakland (WOBO) is orchestrating a car-free Sunday Streets-style reclamation of several roadways in downtown Oakland, from Jack London Square to Grand Ave, with additional car-free branches on 7th St out to the Kinetic Arts Center, at Brush St, and Grand Ave out to Bay Pl, on Sunday, June 27th. Mark your calendars and read more about it here. It should be a great time. The typically bustling streets will be closed to all automobile traffic; pedestrians, cyclists, roller skaters and anyone else non-motorized will have the run of them for four hours, accompanied by live music and other goings-on. 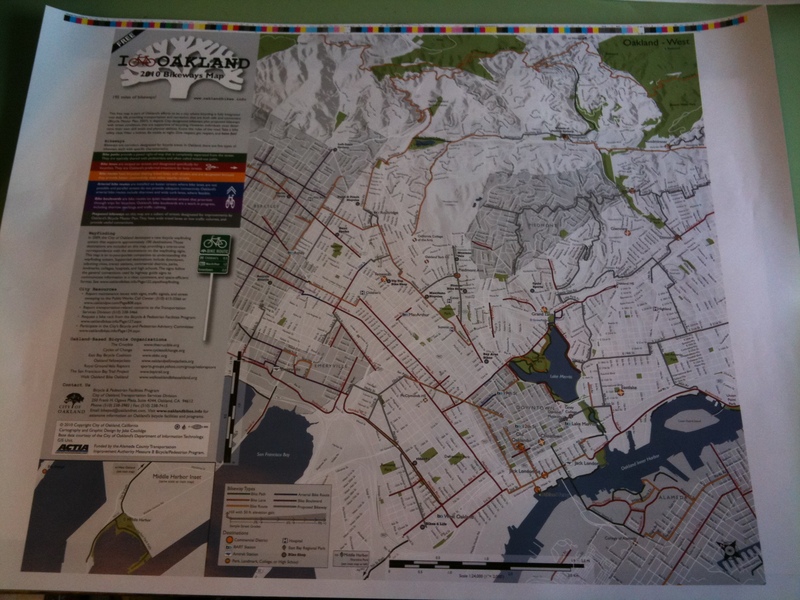 The City of Oakland’s Bike/Ped Program contributed a map of the route for a large poster (recently displayed during Bike to Work Day) and a round of postcards promoting the event; I’m pleased to have made a modest contribution to the cause by designing it. I’ve included a web-friendly version below.